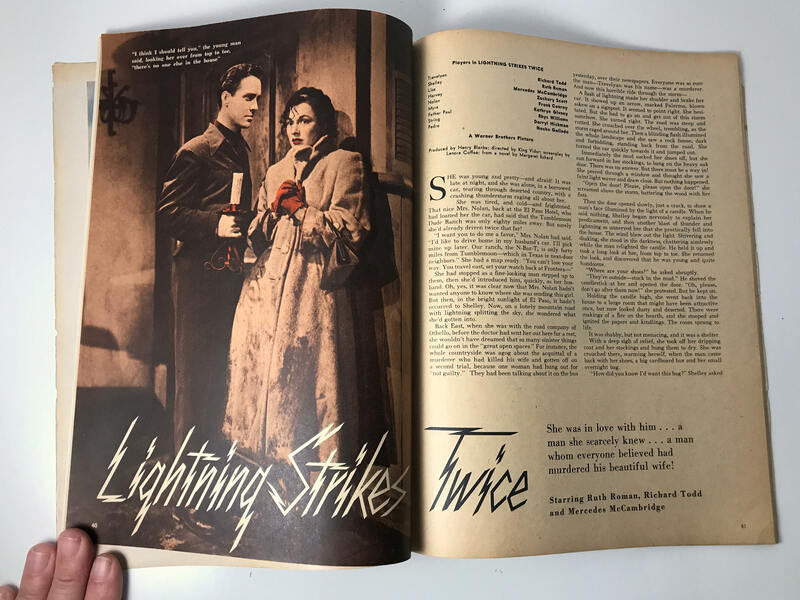 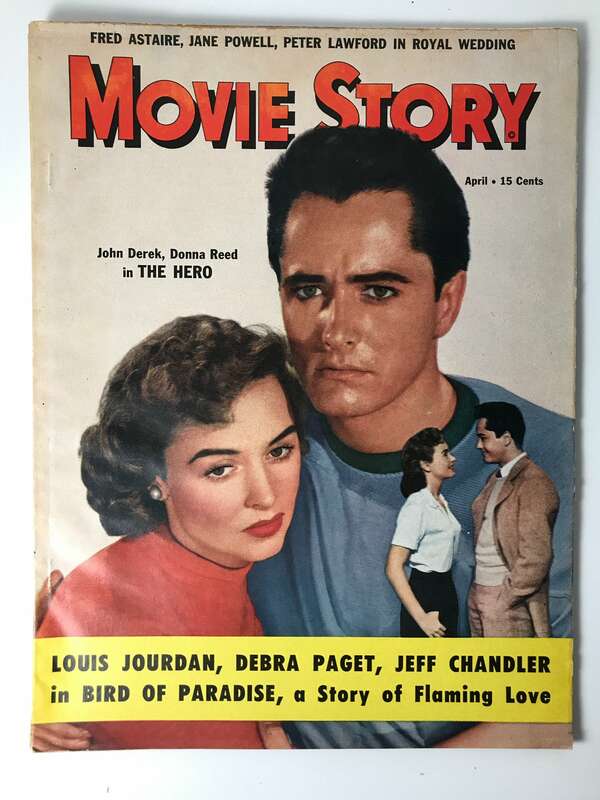 The cover of this issue of Movie Story magazine from April, 1951 shows John Derek (later married to Bo Derek) with his costar Donna Reed in the 1951 movie "Saturday's Hero" where a college football star realizes an education is more important than a football career when he falls for Donna Reed. 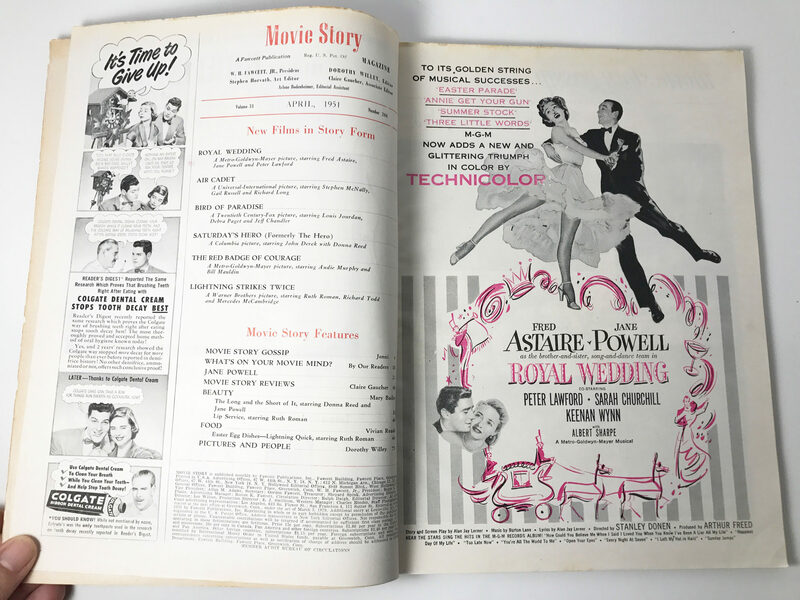 Another great star is advertised on the cover: Louis Jourdan, the debonair French actor who was in the hit "Gigi". 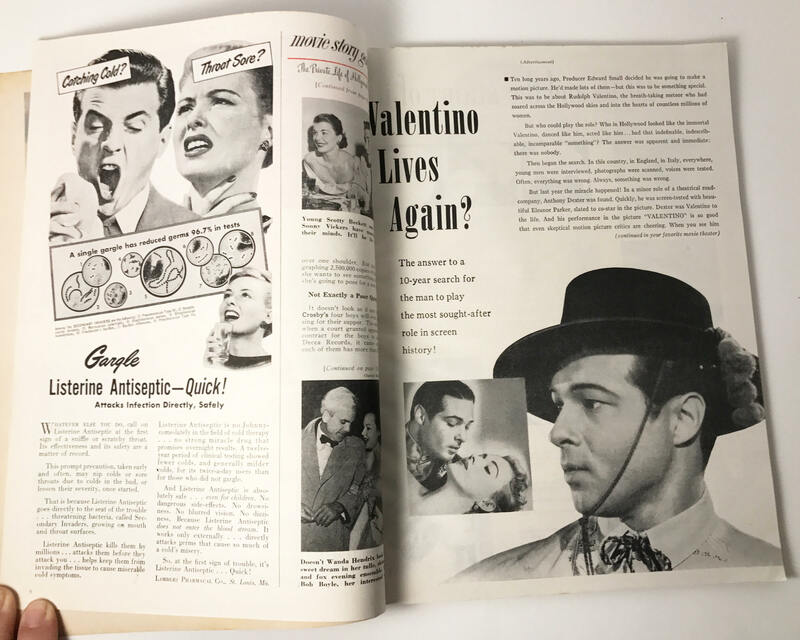 This magazine is featuring his movie "Bird of Paradise". 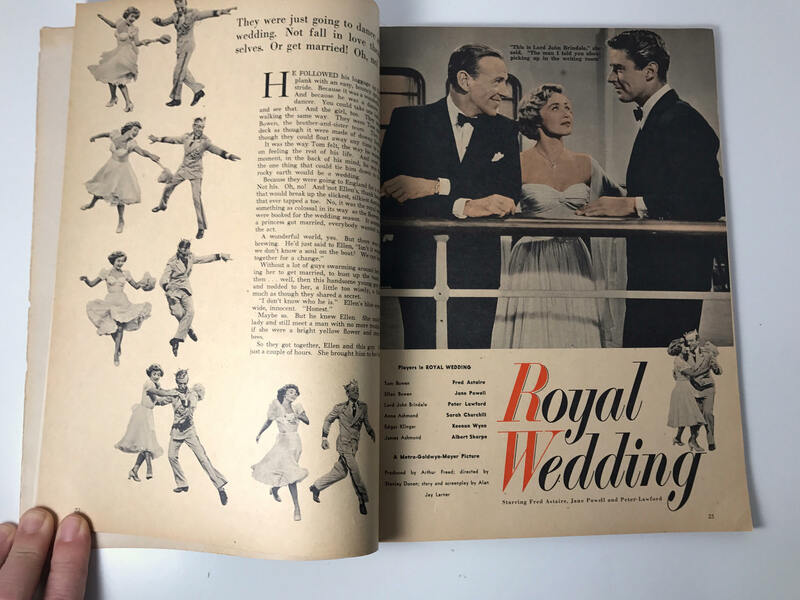 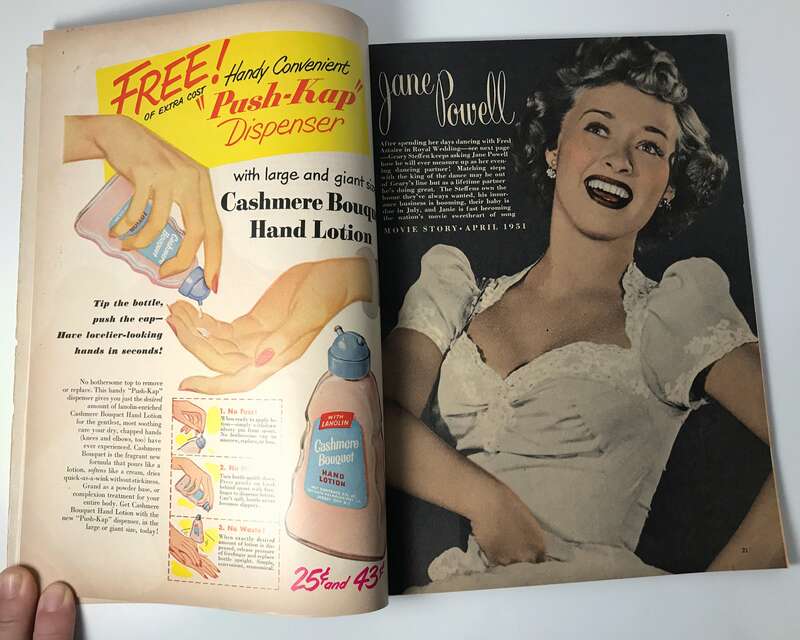 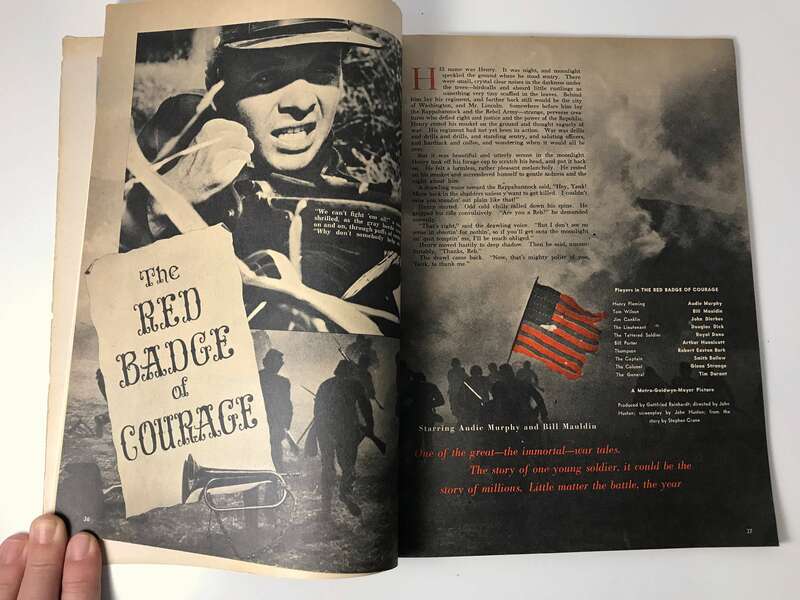 Inside this magazine is packed with movies and stars you'll remember - Fred Astaire, Jane Powell, Peter Lawford, and movies like "The Red Badge of Courage". 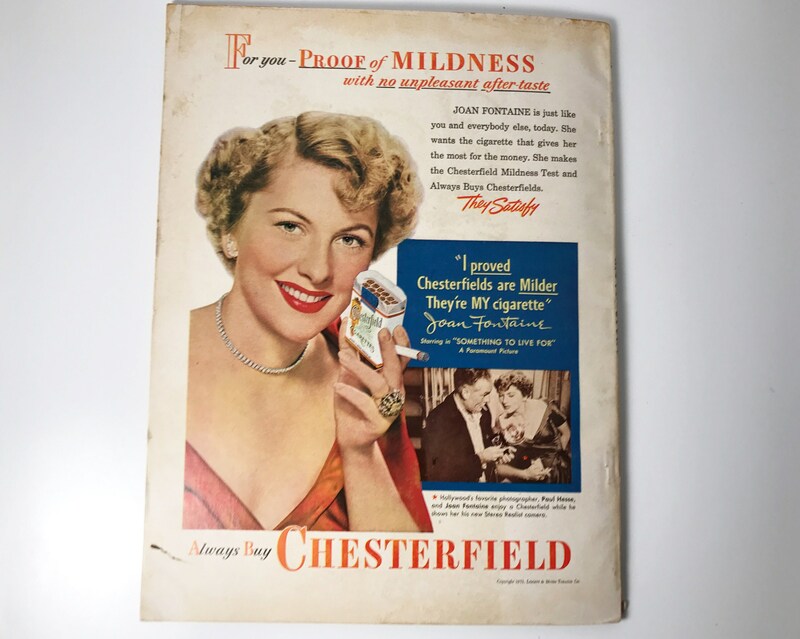 Nice color pages too, as well as fun ads.